Better than Passport - Find Peralta Community College classes faster and easier. Check out the new site here: betterport.org. It has a better search algorithm, impoved advanced search feature and a GPA calculator! I have realesed an android app. It is awesome, I used it to find my current classes, so checkout it out! I am not an Apple fan. I loathe to give those pretentious pricks my money. Unless someone wants to give me a $100 for an Apple developer license and lets me borrow an Apple computer, there will be no iOS app. Advanced Search: click the information you want search for, if you leave anything out it will search for all values. In other words, you don't have to click all the campuses for it search for classes in all the campuses. It does this for every search field. If you don't know just leave it blank. Stuff that I will add to the website in the span of days to weeks. Stuff I am constantly improving. Things I am currently planning, time span is weeks to months. Far off stuff I am thinking about. 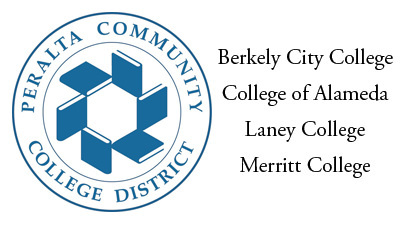 This site was made to make searching for Peralta Community College classes easier and faster. I recently attended a class at BCC which was fun but finding and signing up for that class was not enjoyable. The passport website is woefully complicated, ineffective and is a pain to use. This site remedies these problems. If you like it let me know and let your friends know. Can I use this site to sign up for classes? Unfortunately no, but maybe in the near future if enough people use this site AND if it is technically feasible. Is there an app?/Will there be an app? Peralata is making an app and testing it this fall, for spring classes only, but from the sound of things it will work more like passport than this site. I will most likely make an app for android. How accurate is the class info, specifically the wait list spots and available seats? Reasonably accurate, I update the class info every day, usually early morning or late night. Class components are missing; there is a persistent bugg that prevents me from getting that piece of info. Everything else is accounted for. Are all the classes on this site? Yes all of them..even classes that are not approved yet and are searchable - I know this doesn't make any sense but yeah there 987 searchable classes on passport for summer session but the admins at Peralta only have 600 *active* classes. A whole lot of programming and a bit of magic. I will write about this in more depth on my site. Have a suggestion, a question or found a bugg? Send me a message via this form, I'll reply as soon as I can. If you found a bugg or something that is missing, be descriptive and tell me exactly what happened, what browser you were using and what needs to happen. The more information, the faster I can fix the problem or add the suggestion. Message sent, thanks for the email! Online Course. Contact instructor at dbajrami@peralta.edu for more information.